Angler making the long walk out to the Housatonic River Channel from Short Beach. 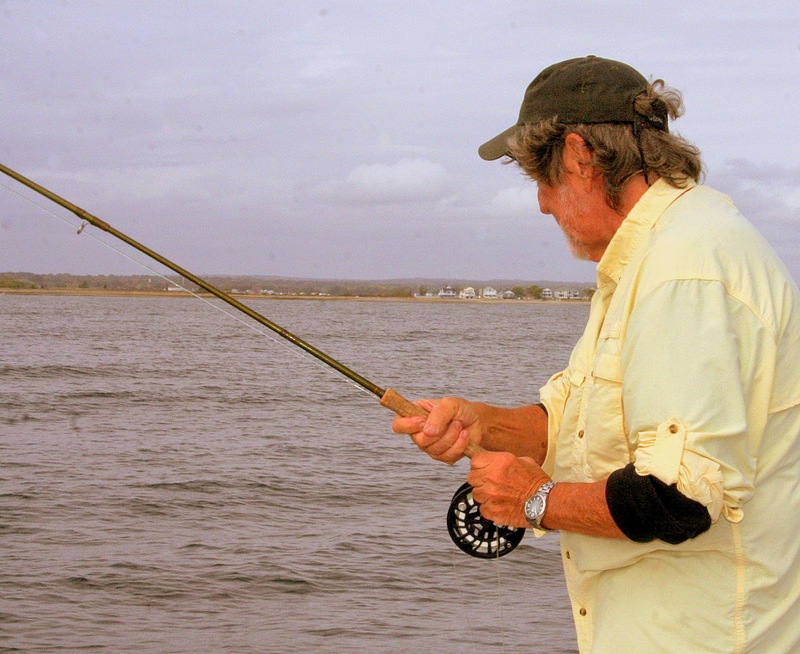 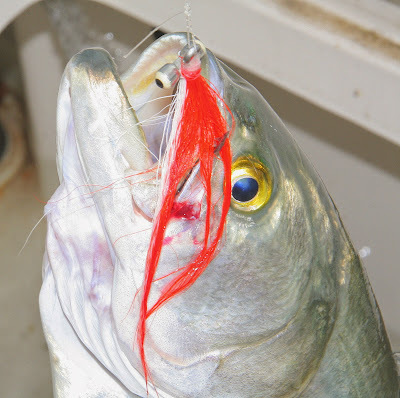 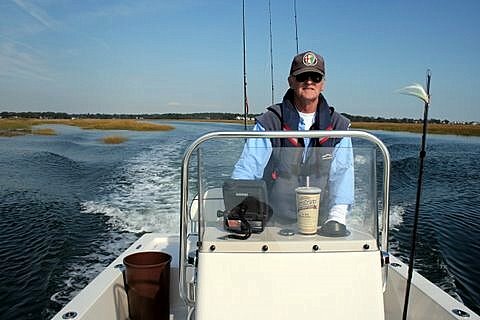 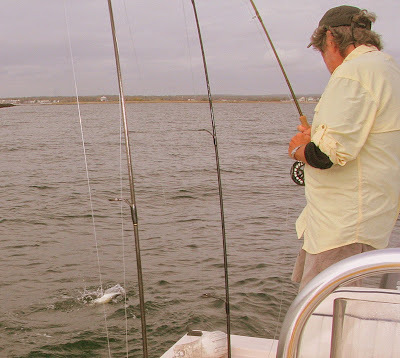 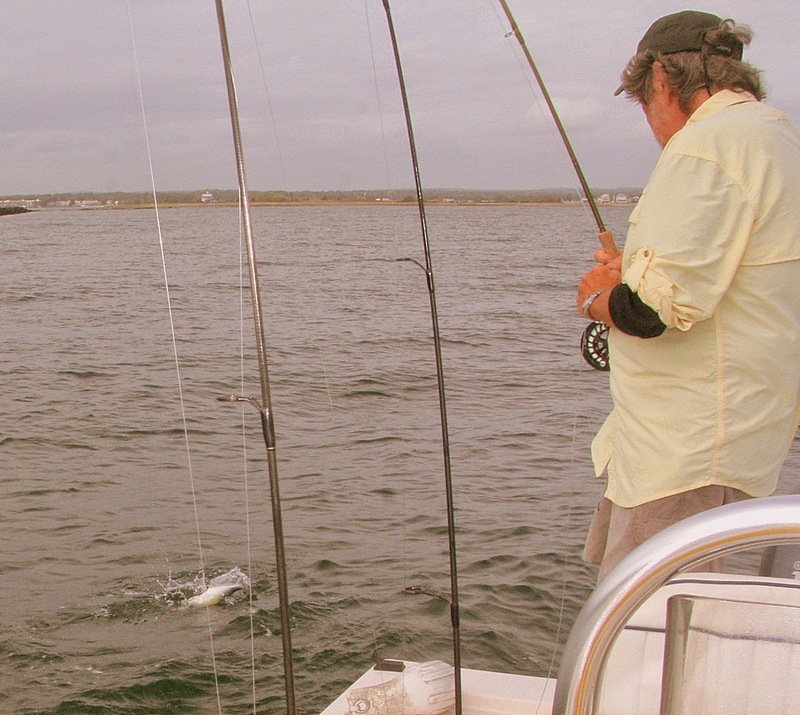 Nothing like catching a bluefish on a fly you tied yourself...in this case a red-over-white Clouser deep minnow. 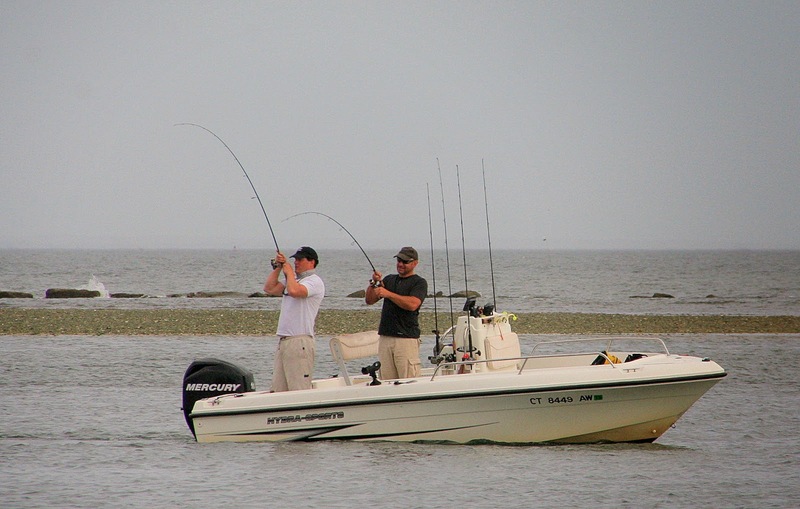 These two brothers are really good fishermen. Most any Wednesday you'll see them out on the River.